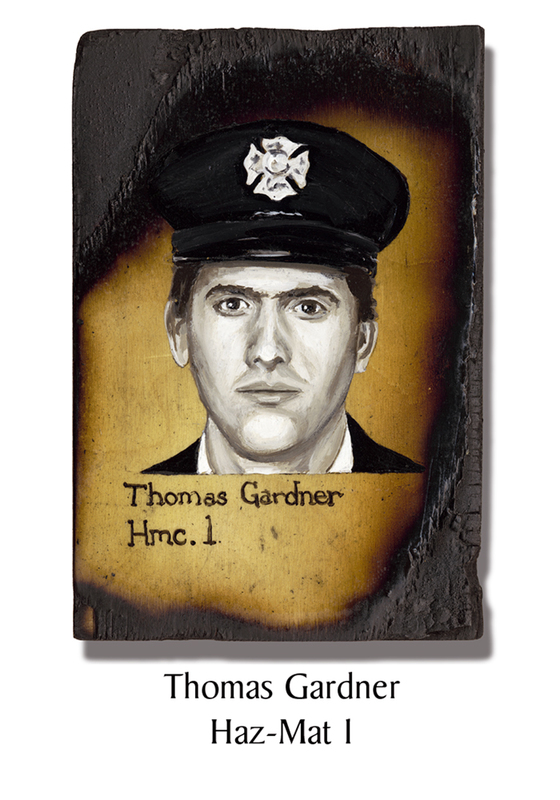 Thomas Gardner was a 17-year FDNY veteran. With a Bachelor’s degree in biology and education, his plan was to teach high school science after he retired from the FDNY. Over the past few years he’d acquired a lot of teaching experience only for now it was about hazardous materials and WMDs and his students were from law enforcement agencies throughout the U.S. He was a Master Instructor for the IAFF and Louisiana State University. He also taught about HazMat at the Fire Science Program of New Jersey City University, and developed a web course for them which was one of the first of its kind anywhere. His love of science also meant a love of animals, and at 21 he had been able to join an Audubon wildlife trip to Africa. He came back “a changed man.” He used to volunteer teaching children at the Bronx Zoo. He took his wife and two kids on camping trips around the U.S. year after year. Gardner also had a funny side, producing a once-a-week radio show. He had even sold jokes to Joan Rivers, Phyllis Diller and Henny Youngman. This entry was posted in Better Angels Stories and tagged 343, 9/11, better angels, Dawn Siebel, FDNY, firefighter, firefighters, firefighters of 9/11, Haz-Mat 1, LODD, Manhattan, memorial, NFFF, paintings, portraits, Thomas Gardner, World Trade Center, WTC. Bookmark the permalink.